We use internet heavily for money transactions, online shopping e.t.c and if we don’t use safely then we can lose our important information, money. So certain safety measures are necessary to keep yourself safe on the internet. Always use strong passwords: we should always use strong passwords for any online account that means password should be combination of letters, numbers and characters. (ex- jerry 896@$) this type of password is very hard to crack. 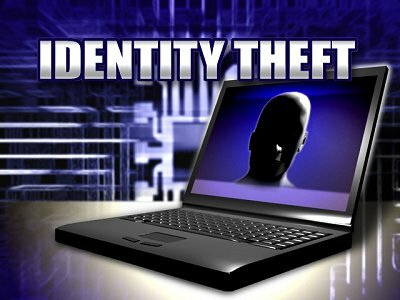 Avoid using your pet name or date of birth or any relative’s name in password. Avoid giving personal information online: many websites requires you address information, mobile no and other personal info. Share it only with trusted websites. Don’t make habit of throwing your personal info everywhere on the internet. Don’t be trapped in online scams : you will get many time emails like your bank account has some problem so please fill the details like address, name, account no e.t.c or you can get mail that you have won a lottery of million dollars so give your bank account information . Then never send any information because these are online scams called FISHING to steal your information. Use updated antivirus and antispyware program: always use good quality antivirus program and regularly update it through internet. Keep your operating system firewall always on. This will keep your system safe from virus and malware attacks. You can get more information about antivirus programs from my previous post your computer is infected with virus how to know. When using a public wireless network, make sure to turn off file sharing and network discovery. Your files and system can be at risk if you don’t turn off file sharing and network discovery .it can be opened by anyone on the wireless network, not just hackers. In Windows, these options can be found under Control Panel > Network and Internet > Network and Sharing Center. In Mac OS X, they are under System Preferences > Sharing. Disconnect from the Internet when not in use. By Turning off the Internet you can prevent someone else on the Internet from entering your computer and cause harm. Disconnecting your computer from the Internet when you are not online lessens the risk of someone being able to access your system. Always check for secure transaction: The trustworthy company’s websites keep many safety measures for online transactions. You can see a gold lock sign at the address bar of browser to indicate a secure site. When giving any bank details or other information, always make sure the connection is secure (URLs like this begin with https:// instead of http://). But, be alert not every site which runs https:// or accepts payments is trustful. 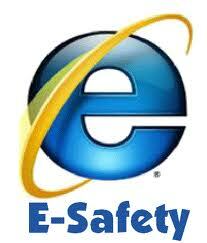 So if you follow above safety measures then you can stay safe on the internet.